In Western Australia, New South Wales and South Australia, parents are probably familiar with the Crunch and Sip® program (or they are about to be made aware of it as their kids head to school soon). In other Australian states, a similar primary school initiative is known as a fruit break, brain break or snack break. Despite the name it is given, it is a popular initiative across Australian primary schools. But …what is Crunch and Sip®? In a nutshell, it is an allocated time for students to eat fruit and/or salad vegetables and drink water. The idea behind refuelling and rehydrating is to improve concentration and increase the fruit and vegetable intake for school children. It is held in the morning session before the bigger recess and lunch breaks of the day. In order, to fit this initiative into the busy school days, schools either adopt a fluid approach to the break allowing it to be relatively unstructured. For example, sometimes it can exist alongside administrative tasks like roll-call or during group time like news or group reading time. Or in some cases, children leave it on their desk and take responsibility for when they want to eat it during the morning session. Yet, for most schools there is a pause in learning time and the food is retreived from their bags and is eaten at the desk within the classroom. Many primary schools want the fruit and/or vegetables to be provided in a little container, separate to the rest of the child’s lunch(es). This helps the children select the right food for the break. This little container can even be popped into a basket at the front of the classroom and is distributed later on. Obviously, I can’t speak for every school’s approach, so, I highly recommend you find out from your school some more details about how they actually administer the break. On a population level, having a break that includes healthy foods is a positive. Teachers report improved concentration and an overall improvement in the nutitious choices arriving in lunchboxes. (And by no means do I want to discredit an amazing program.) However, for a child that is anxious about fruits/vegetables or new environments, this break to eat fruits and vegetables can be confronting. For a parent, this can be worrying you too. And that’s why I’m glad you are here. When a child gets a bit anxious about something, chances are they’ve been thinking about it for a little while before they talk about it. So, to respond with “don’t worry about it” is … frankly… quite deflating for the child. So, if your child is anxious about the fruit or vegetable break, the first thing we want to do is offer some support for it. I use an emotion program when I am chatting to kids about food anxieties. I am going to step this process pattern out for you today in relation specifically to helping a fussy (picky) child with Crunch and Sip®. Also, if you step through this process and give yourself this tool, it will help you to be less anxious about it too. The aim with this emotion program is not to problem solve for your child. Our aim is to understand their concerns, show true empathy and assist them to decide on tools they can work with. 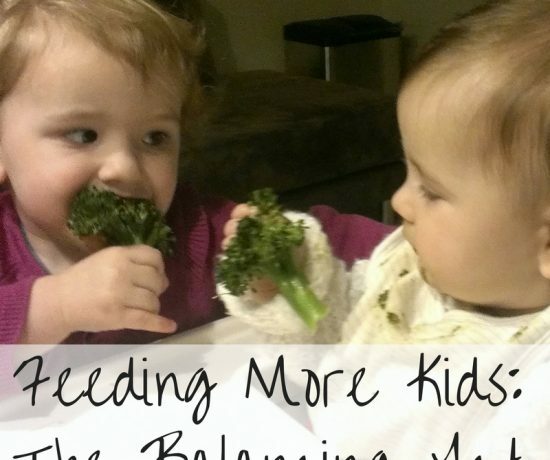 What is the true root cause of your child’s anxiety around fruits or vegetables? Here is a list of some ideas for you to mull over (this is not an exhaustive list by any means). What you will notice is that you are not on this list. But you can identify the root cause, because you are the best person at feeding your child. Practice a few sentences that show true empathy and understanding towards your child’s concerns. An empathy statement needs to be specific to the content and authentic. Take this scenario for example*: After experiencing difficulties opening a banana my daughter subsequently refused to eat it. The opened banana showed signs of significant suffering in my toddlers hands – it ended up with a “squishy top”. For the emotion program, I could empathise with my daughter and deliver a few sentences like these calmly and with eye contact. *Hyperthetical situation that did in fact happen at my house during this week. Once you have started a timely and empathy based conversation, you need to confirm that the content of their refusal is the same as what you are empathising with. In my above example, there are two “content” areas (green and blue text) that I empathised with – a bit of an error on my part?? Not really, it is also a way to start teasing out the root cause even more. You can’t always assume you know the root cause. By having a go at empathising, I’ve now realised that I’ve got two avenues to explore – was it the feeling of doing it wrong OR the mushy sensory problem that resulted in the refusal. Each root cause would lead to a different tool that could work for my upset daughter. During fruit break time though, you can’t be there. However, you can use this program based on your observations at other mealtimes and fruit/vegetable experiences. Firstly, you need to understand the logistics of the break. (Talk to other school parents / teacher). You can also find the list of typically allowed and not allowed foods online (see link below). Next, introduce the fact that there is going to be a fruit and/or vegetable break everyday at school. Make sure you have time to have a discussion about this and don’t spring it on them when there isn’t actually time to have the conversation. Remember, they may not have any questions straight away. They may need to mull it over for a while and when they are ready, they may ask more questions. So, either have the answers to their questions by doing your research in advance or a plan to find out the answers together. Get them involved in planning or visualising the snack, recess and lunch breaks of the day. This is your golden time for exploring the content and root causes (and offering empathy). In your busy back to school schedule, I highly recommend doing practice runs with the containers – possibly without any food in them at first. This can help them learn about their new containers. You will then want to chat about the sorts of foods that go to school, what is not allowed (eg peanuts etc) and what other children will possibly have. Tolerating and seeing what others have in their lunchboxes is a great way for them to learn about more foods too. If after a few weeks, don’t be disheartened if they ask for something to go to school after seeing their new BFF eating it …but then bring it home uneaten. Eating isn’t pass/fail. 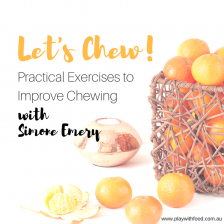 By tolerating that new food in the lunchbox, they have had a good learn – we need lots of “learns” before we can decide if we really don’t like it. Also, just because you devise a plan now, doesn’t mean it will work until the end of time – you are usually up against it with fruits and vegetables due to the seasons changing their availability / sensory properties (like smell, texture, taste). Be flexible in your discussions and talk through the different things that could happen. Next is to work through what they can do during fruit breaks. This is where learning language is very important and that we have tools available to the children so that they can “opt-out” if they need to. Start each sentence with “you can..” and not “don’t”. For example, say “You can learn about the strawberries today by smelling them during Crunch and Sip”. Or “You can learn about the apple cut in a different way in your Crunch and Sip today”. If your child only has one “safe” or tolerated fruit/vegetable. It’s important that we don’t offer that everyday in the same form. Each change to a food makes it a “new food” in a child’s eyes. The more exposures to “new foods” that they get – the more accepting of variety they will be. Even if the newness is almost microscopically different to you, it could be very different to a child. If a food is presented repeatedly within a 48hr period, it is more likely to “burn out”. Constantly requesting the same safe foods is known as food jagging. Some safe foods seem to be immune to “burn out” for some children, however, it’s the just-tolerated-ones that get dropped this way. So, we need to either have a new learning food, that goes in alongside every second day. Or we need to have a different presentation for that safe food to keep it new. If apple is my only safe fruit, here is a list of ways to present apple so that it is different each day. Overwhelm is quite real for food anxious children, so remember that they may be more comfortable to keep learning about the food if it is not crowded into their lunchbox. For example, putting in a few cubes of diced carrot may be enough if they are still learning about it. Children are usually more likely to approach a few cubes than a full carrot. Do some practice runs. I would recommend taking the kids out with their crunch and sip containers to a busy area like a food court or play ground. Observe how they go processing the environmental cues along with the fruit or vegetable. No physical or non-verbal prompting to eat or talk about the food would be best in this scenario. The Crunch and Sip® website and the Healthy Kids Association’s information. (Includes a list of what is and what isn’t allowed at the break). The Kidgredients review of the top 8 containers for Crunch and Sip and also the Kidgredients definitive guide to choosing a lunchbox (reviewing 24 lunchboxes available in Australia). 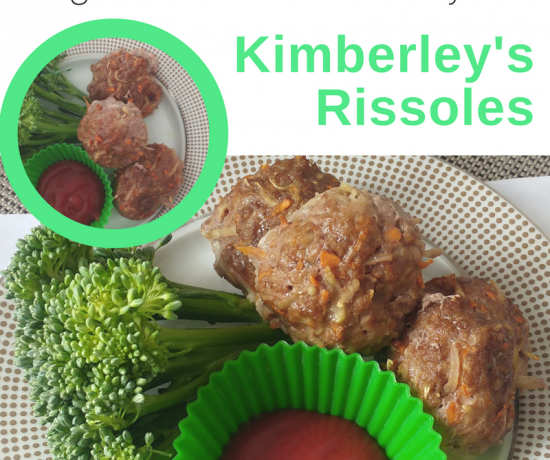 This is also a practical discussion piece about lunch box containers by Mandy from Little People Nutrition (the lovely mumma that worked with me to deliver the Happy Mealtimes eCourse). If you are after some more encouragement for your fussy eater, I’ve outlined 9 Things Not To Say To A Parent of a Fussy Eater here. It resonates with so many parents and may help you think of ways to talk to people that offer “well meaning” advice. 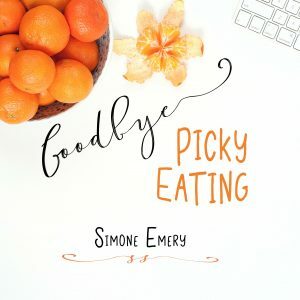 If you aren’t sure if your fussy eater needs more assistance, this list of red-flags can help you decide on further courses of action you can take for fussy eaters (picky eaters vs problem feeders). 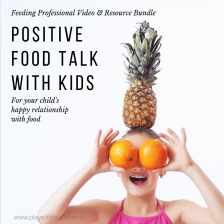 Positive food talk with kids – A video for parents, educators and carers of children that delves into helping a child learn to approach new foods with language tools that don’t rely on pressure. Pressure is very difficult for children anxious about new foods. Adding pressure like a reward system, bribery or using emotional language makes eating even harder for children. Learn more about helping them without hindering them with pressure. Happy Mealtimes eCourse – 7 modules covering lunchboxes, eating healthy on a budget, how to shop for healthy foods, improving the eating competence levels in your family and fussy eating behaviours. 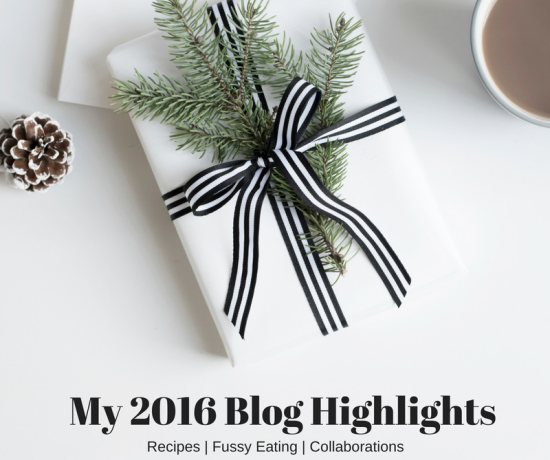 This eCourse includes videos, worksheets, recipe books and printables. 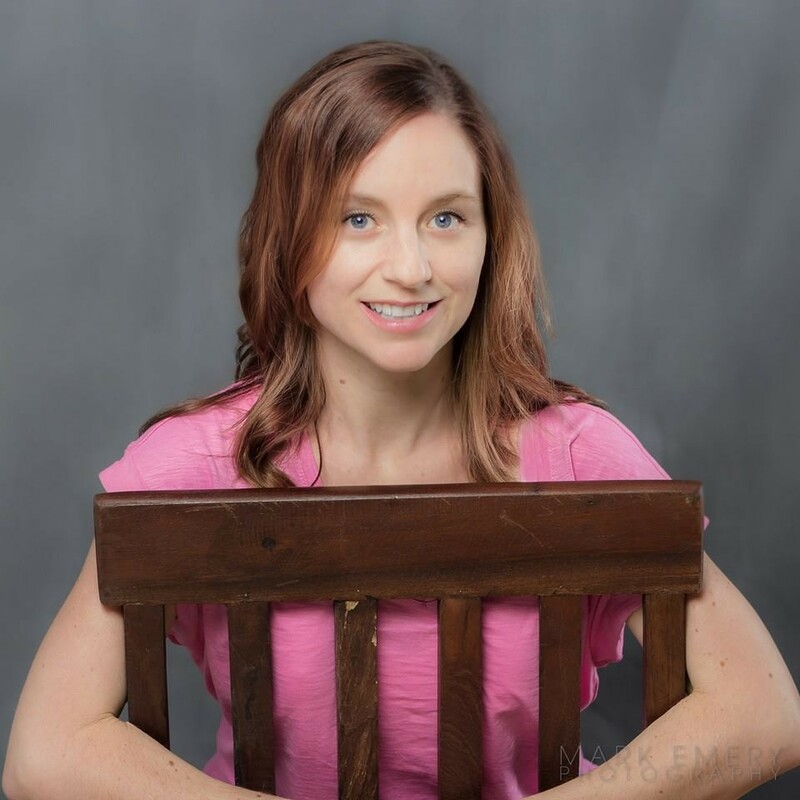 Skype or in-person play dates within Sydney – Simone sees your child eating and assists you in identifying the root causes, what next steps will work well for you and we have FUN! 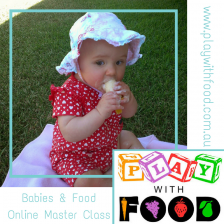 The first session with me comes with access to the Happy Mealtimes eCourse. 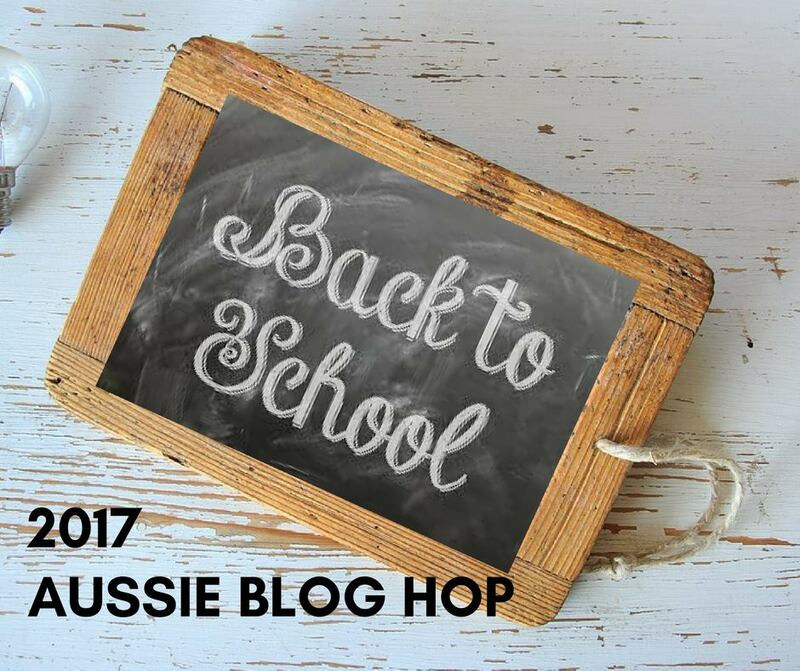 This article is part of the 2017 Aussie Back to School Blog Hop! 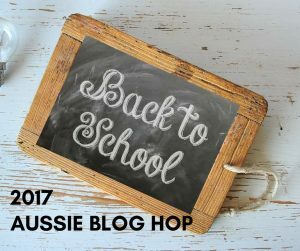 Please read the articles here by some wonderful Australian Bloggers! 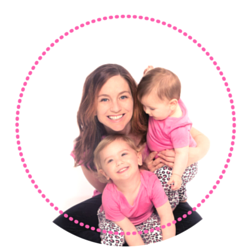 You will find out how the first time school mums are feeling, great lunch box ideas as well as suggestions for those who don’t like crunch and sip!